I hope yall had a wonderful Independence Day! It was a fun weekend for us. We ate bunches and lit up some fireworks. Sun Kissed Husband BBQed and friends came over to partake. We got to show off our two latest decorations in the Mancave. 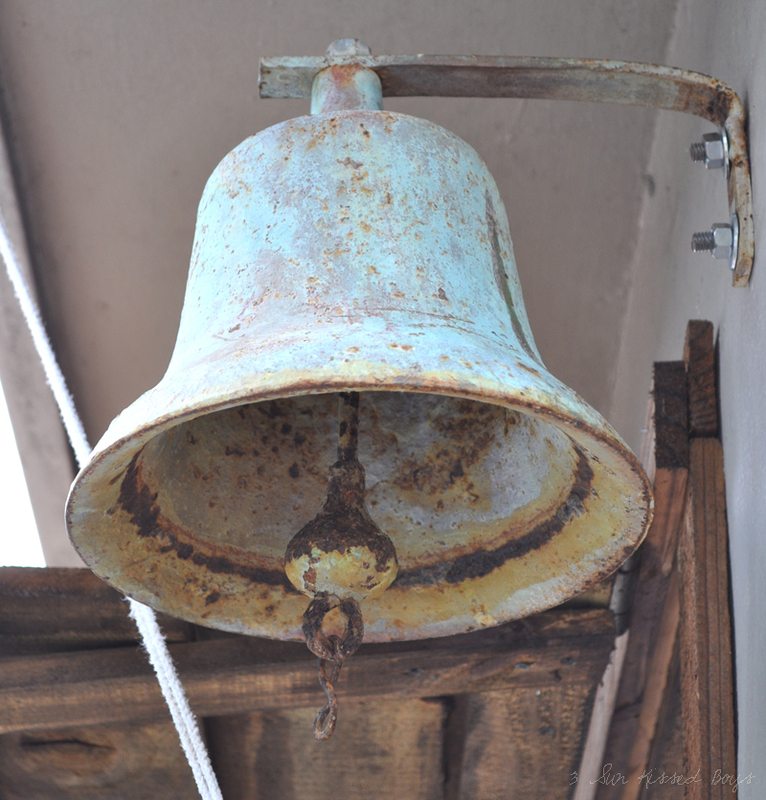 First up is a bell I purchased at the antique store some time back. 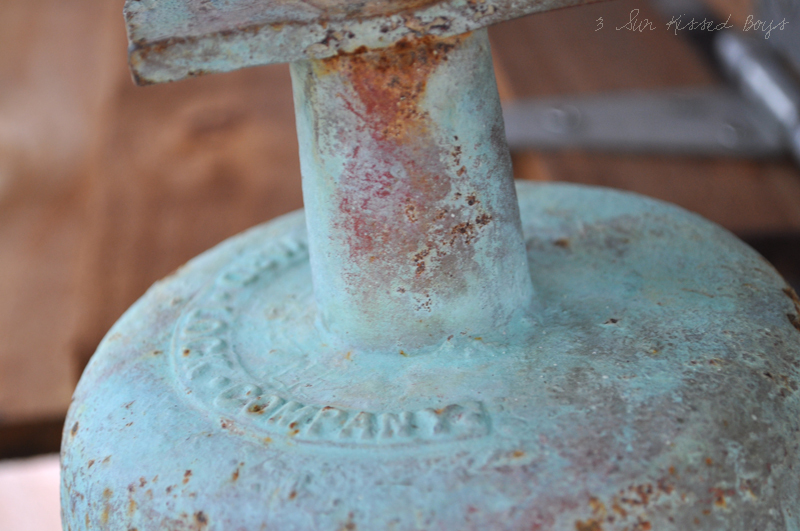 I love it's rusty patina. 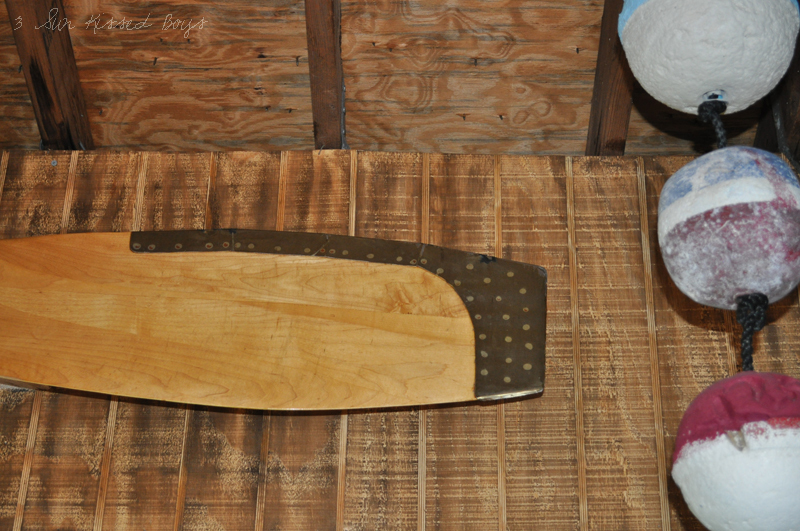 The second thing that finally got hung (Thank you Uncle Ed) was this airboat propeller. 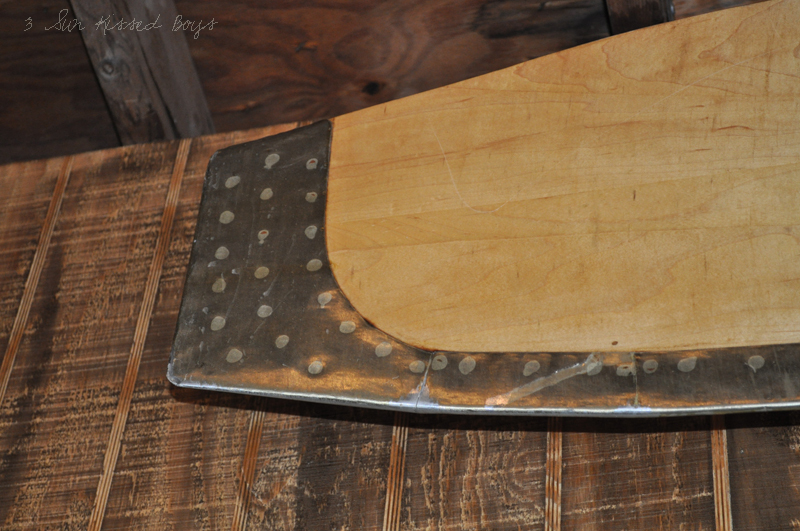 Any guesses as to where I got the propeller? 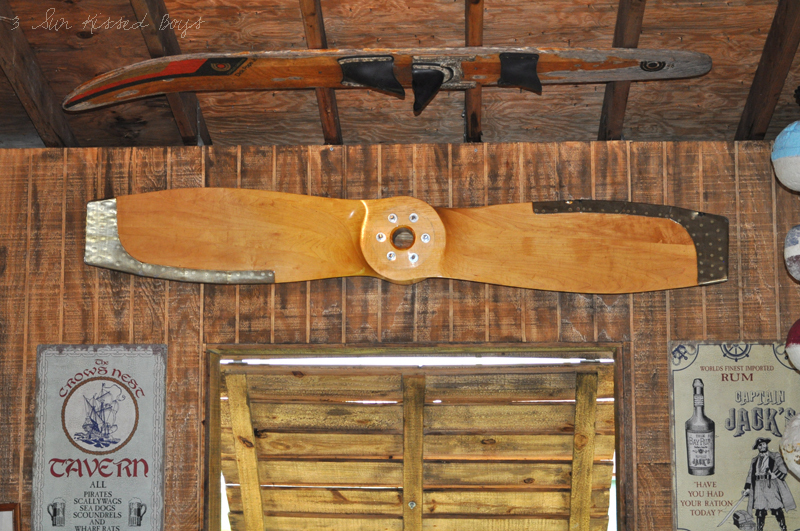 the propellor is sooo cool! 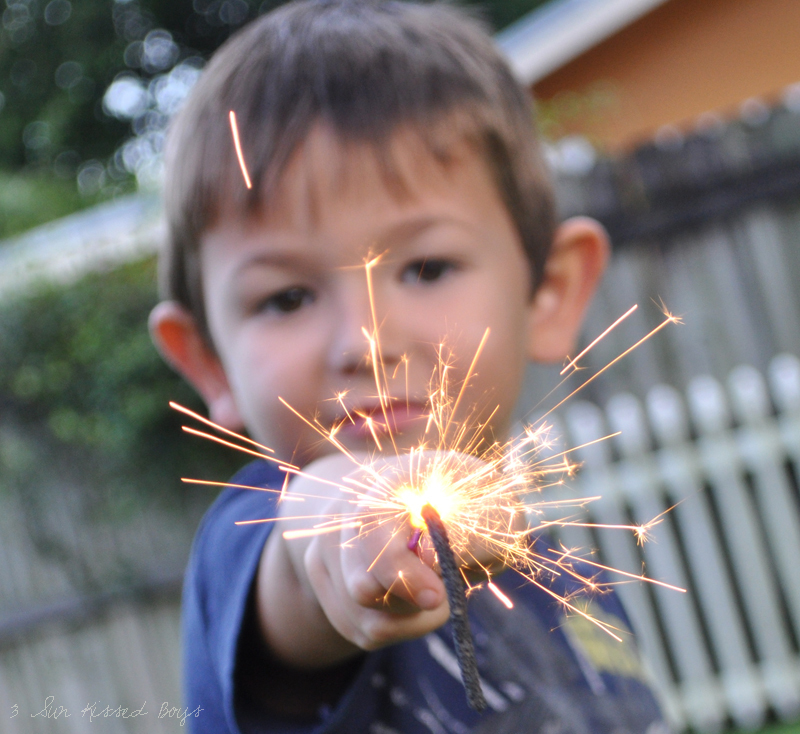 but that first pic of your son with the sparkler is amazing! Love the sparkler picture as well! 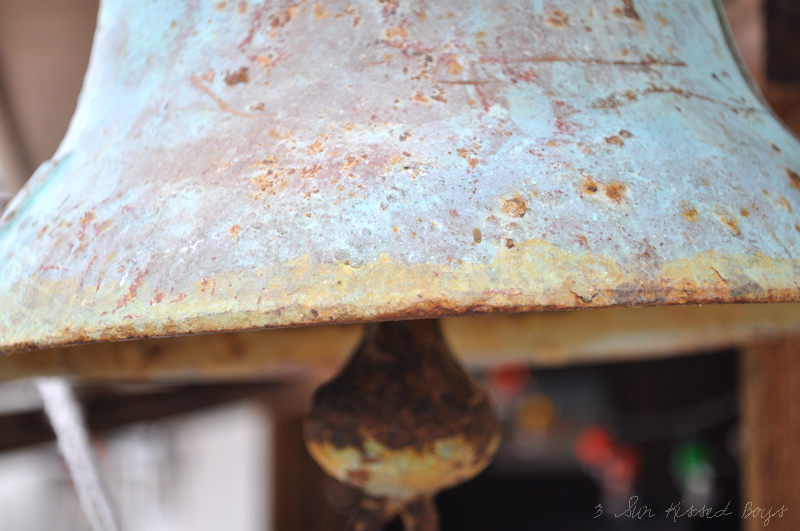 I love that old bell too! Nice find. I love that shot of SKB with the sparkler. I tried a night shot of my friend's son with one for the first time and it turned out pretty good. I'd link to it, but you'll come around to see it when you've got time. Excellent find on the prop! That bell is super super cool! 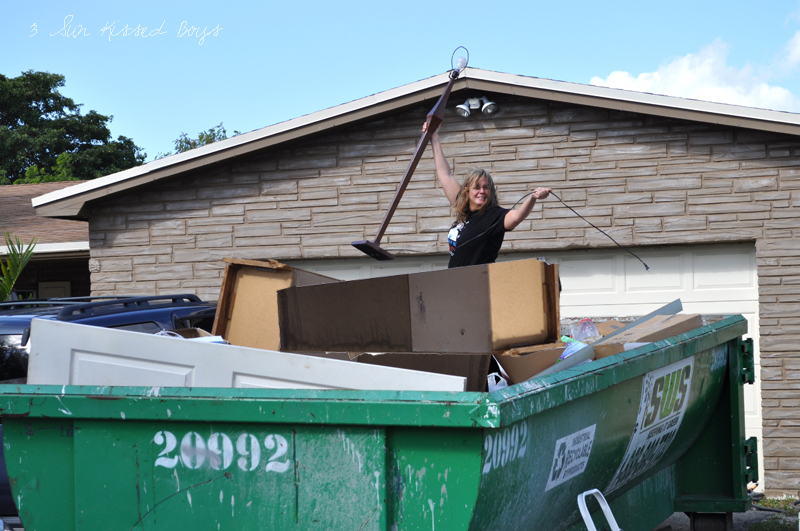 YOU DUMPSTER DIVIN' DIVA" !! Been there, done that, (still doin' that)!! LOL!!!!!! Love the last pic! That propeller is sooooo cool! Both are AWESOME! And you didn't have to pay for the propeller, just dive in! Oh my goodness, I LOVE that bell! It's perfect. 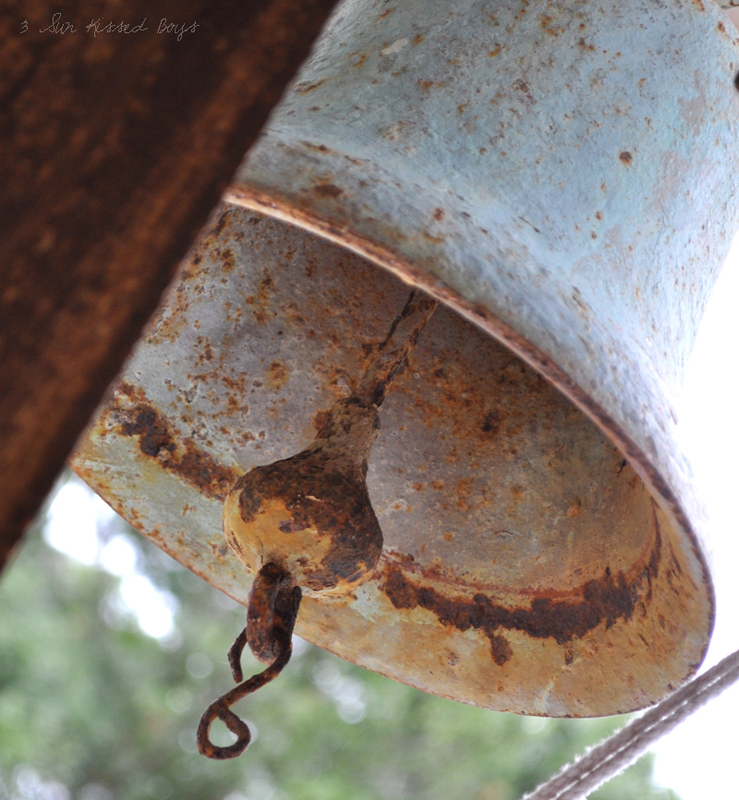 That bell is just like what I dream of finding in an antique or consignment shop one day. Here in UT it is illegal to pick things up off of sidewalks like so many others get to do in other states. I have never done any dumpster diving.... but I just might have to soon if I want something as awesome as that propeller! I had to check out the propeller. That is so cool. I'm going to decorate my husband's office in the fall and I've been collecting ideas. And the fireworks photo is gorgeous.